Ἐσθίω, “to eat,” is one of those words you learn early on in your Greek studies. It is one of those words that opens the eyes of the naïve Greek student. Ἐσθίω becomes φάγομαι in the future tense. You kind of just learned it. I’ve been reading through Genesis in the Septuagint and came across 6:21: “σὺ δὲ λήμψῃ σεαυτῷ ἀπὸ πάντων τῶν βρωμάτων, ἃ ἔδεσθε . . .” “But you will take for yourself from all the food, which you will ἔδεσθε . . .” Now, it is clear from the context that ἔδεσθε is “to eat.” But I’ve never seen this form before in my reading. Apparently this form fell out of use from the classical era. At the time of the Septuagint, both forms are used interchangeably. I was unaware that ἔδω was even a lexical form! 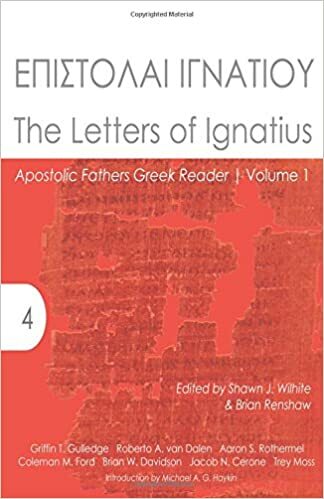 I looked for it in Thayer, BDB, Lust’s LXX Lexicon, and Muraoka’s Greek-English Lexicon of the Septuagint before writing up the post. As a matter of fact, Thayer lists it alongside φάγομαι as an alternate form of the future; BDB says “fut. ἔδομαι LXX; and Muraoka’s entry says, “fut. ἔδομαι, φάγομαι” all under the entry for ἐσθίω. After reading your comment, I looked it up in Liddell and Scott and found it! In terms of ἔδεσθε as a present instead of a future, I’m not sure. I don’t know the classical dialects and am in murky water here. Nevertheless, I still think it is a future – though I’m open to correction – for these reasons. First, it is used to translate the Hebrew yiqtol. The translation technique of the LXX translators is typically, though not always, to render yiqtol forms with a future. Second, Liddell and Scott lists ἔδομαι as the future form. Apparently it does not undergo a stem change in the future? I’m assuming that the paradigm would be: ἔδομαι, ἔδῃ? or ἔδεσαι?, ἔδεται, ἐδόμεθα?, ἔδεσθε,ἔδονται. I’m also assuming that ἔδομαι like φάγομαι is “deponent” in its future form as I’m not finding any active forms. If all this is right, does that mean there is no middle or passive form for ἔδο in the present tense? Maybe this is where ἐσθίω comes it? Also, I am a bit unclear as to the relationship between ἐσθίω, ἔσθω, and ἔδω, as Liddell and Scott list them all together under the entry for ἐσθίω. Can you shed any light on this? This essay agrees with you that edesthe would be a future form (except for the Epic). I do not see why. Unless, as you say, the “deponent” form is limited to the future. I suppose one would have to do a complete search to see if this is true. Lexicography can be a very inexact science at times. Etymologically, I find the relationship between edo and our “eat” to be interesting (cf. “edible”). In German, of course, the dental becomes a sibilant (“essen”). In Ethiopia, by the way, there is a dialect in which the command to “Eat!” is “Eati!” False friend no doubt!